The Silver Line runs from the heart of DC along the Orange Line corridor and then splits off from East Falls Church Metro Station to connect to Tysons and Reston. Trains run every 6 minutes during rush hour and every 12-20 minutes during midday, late night, and weekends. 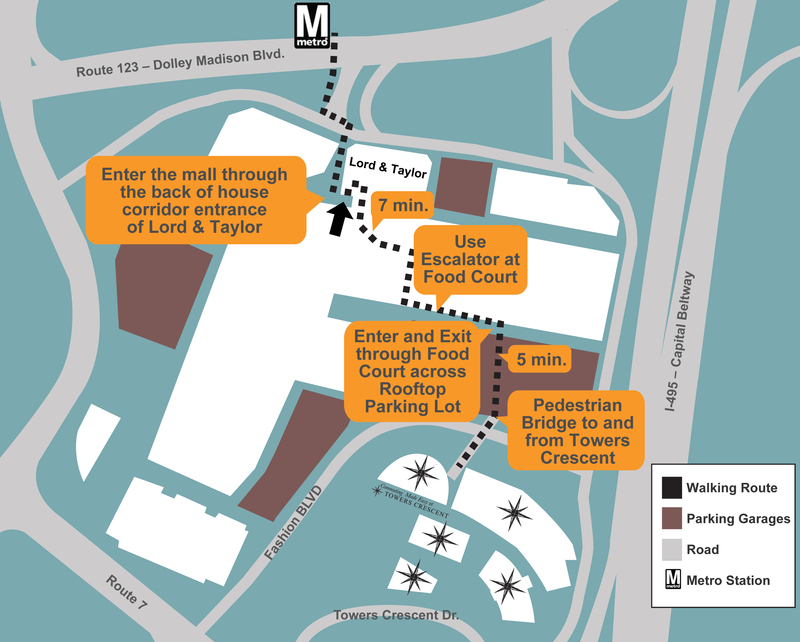 Tysons Corner Metro Station is located a half a mile from Towers Crescent. To plan your trip on the Silver Line today visit www.wmata.com. What’s the Best Way to Walk from the Metro Station to Towers Crescent? 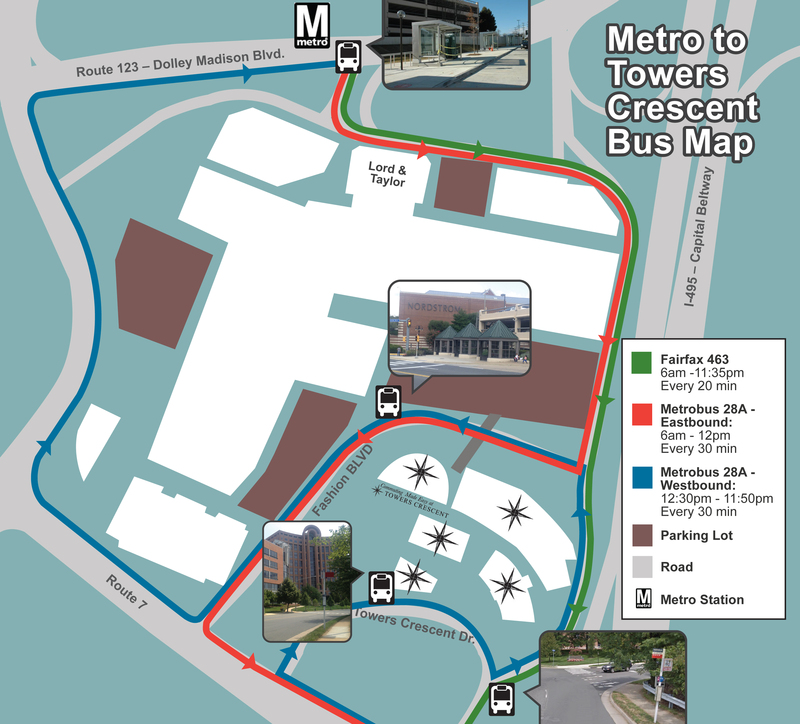 What’s the Best Way to get from the Metro Station to Towers Crescent by Bus?